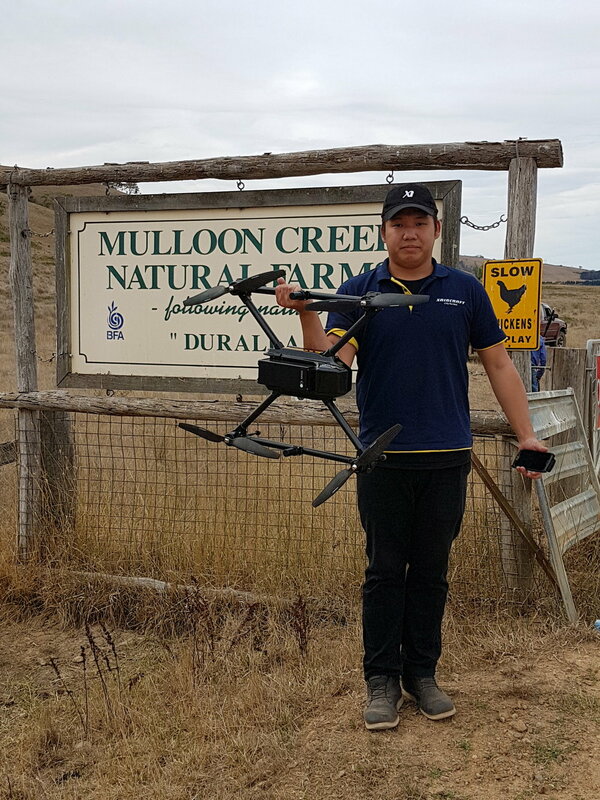 Revolution Ag recently demonstrated how effectively their drones can capture data, over 175 acres at Mulloon Creek Natural Farms. During the demo, they generated a range of high resolution images in 2D and 3D and showed how quickly an array of products (such as contours and height gradient maps) can be created and delivered to clients in the field. The level of accuracy was quite astounding! Overall flying time was half an hour, with nearly two hours spent establishing a GPS base station and an array of ground control sites across the demonstration area. The chickens and cows didn’t even seem to notice the drone hovering overhead, just 65 metres above! Thanks to Revolution Ag for coming out and sharing your technology and innovations.